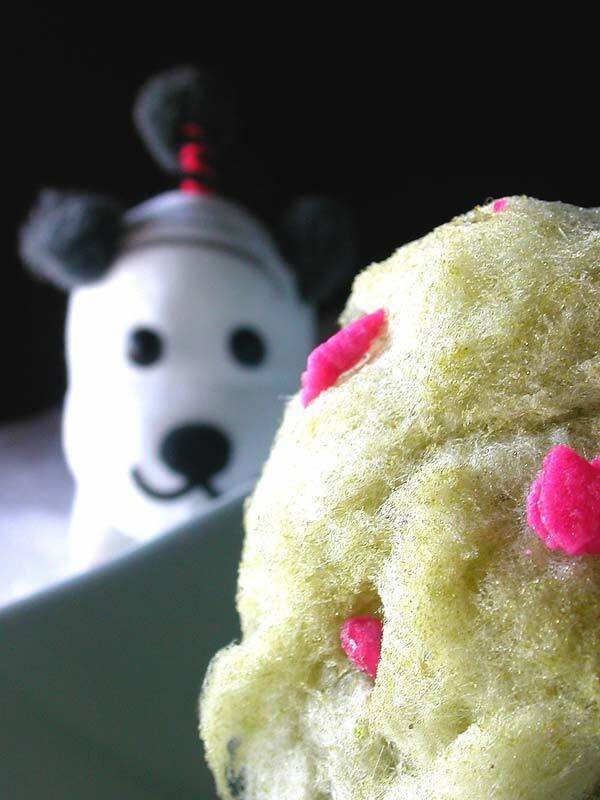 whizz around in a food processor until mixed and fine. use in machine as directed. 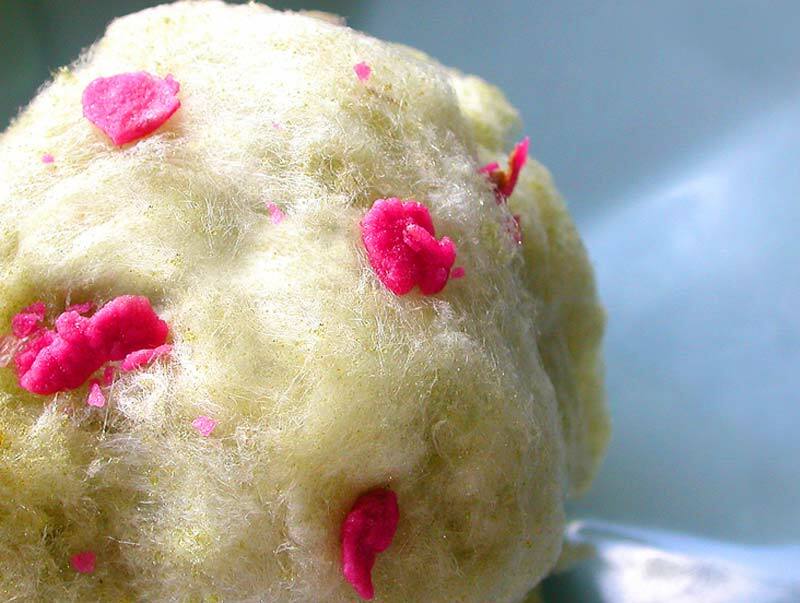 mix petals in with tea in airtight container for a week. fish out when needed (or leave in tea for a lovely rosy earl grey brew). thanks, clement! i had a lot of fun. on the edge of seventeen. i will admit, there were two reasons for this particular post: the first was to remind you that the 17th edition of is my blog burning? is coming up, this time hosted by clement of the impeccable a la cuisine!, the theme this time: tea. 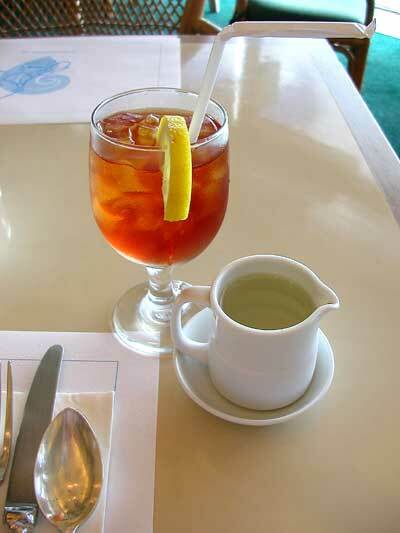 any dish or drink that's made with tea qualifies, clement says, but he also graciously invites us all to share any experiences or rituals we may have involving said subject. i don't have any experiences or rituals i'm allowed to share (don't mull on that), but i do have an observation i've been meaning to blog about for awhile. 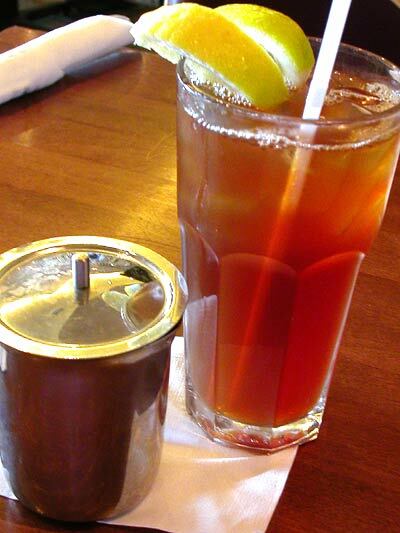 the majority of people on guam prefer sweet iced tea, much like the american south, but unlike the south, the tea does not come pre-sweetened. 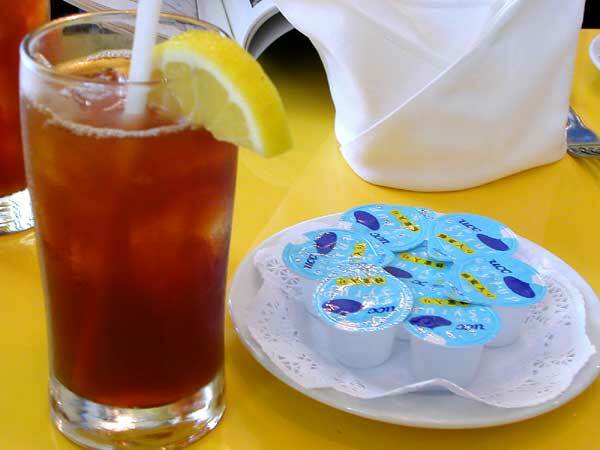 however, most establishments provide a simple sugar syrup in a small pitcher or in individually wrapped pour packets rather than granulated sugar as the sweetener of choice. 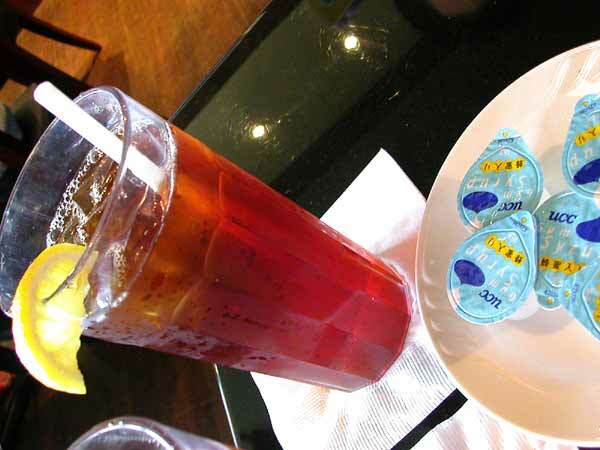 although i don't have a particular preference for sweet tea, i find that i do miss this amenity when i am on the mainland (and in hawaii. why isn't this in hawaii?) as the syrup dissolves instantly, and makes that perfect tea: ice: sugar: lemon ratio so much easier to obtain (by the way, does anyone else get even mildly annoyed with free refills that disturb that ratio? do you even get free refills where you are?). 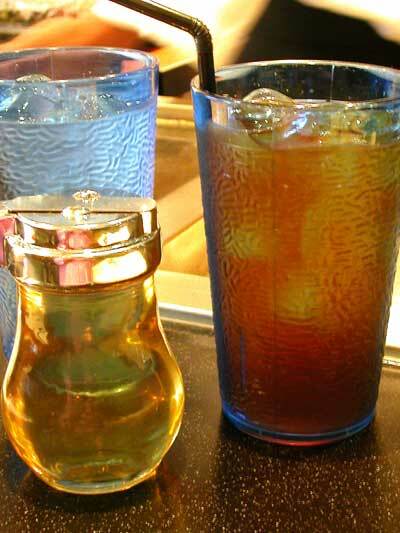 anyway, a simple sugar syrup is as it name states, simple. just add two cups of water to one cup of sugar in a saucepan, heat and stir until the sugar is dissolved. cool, then store in a clean container in the 'fridge, where it will keep indefinitely. 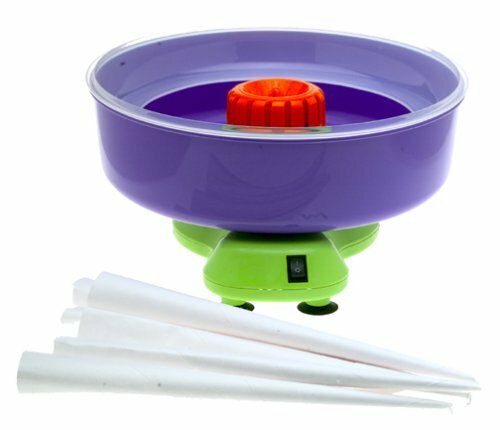 it comes in handy when making agua frescas, citrus ades, and other summer coolers . the second reason for this post? 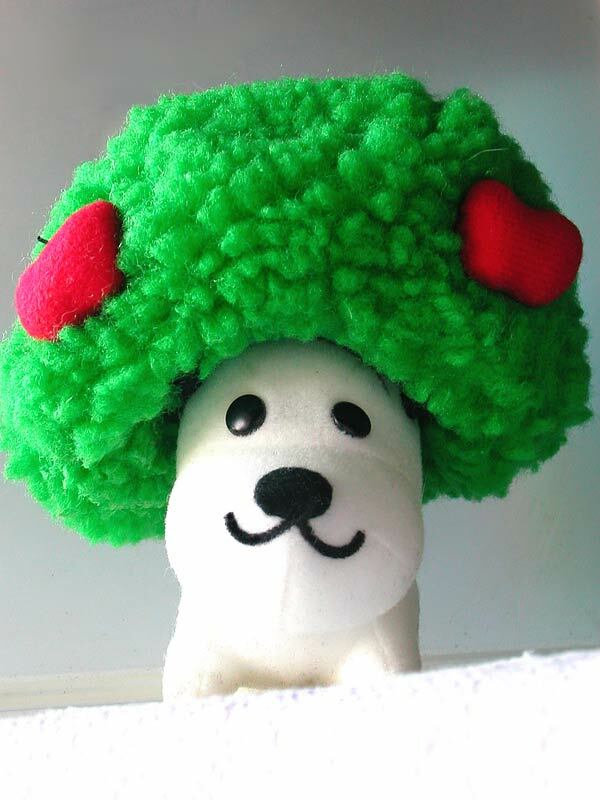 if i get just one person--one! i tell you--with a stevie nicks' song stuck in his or her head today, my mission has been accomplished. i said ooh baby, ooh, said ooh. in a desperate bid to seem like i'm a healthy eater (as opposed to being a healthy=hearty eater), i give you a green mango salad. mainly because i have a lot of green mangoes about, but also because in this hot weather a lot of us are experiencing, it's a light, refreshing repast. you'll find various forms of this salad throughout southeast asia, but with the basic ingredients intact: julienned green mango, cilantro, basil or mint, shallots or onions. the dressing is made with any number of ingredients, but the main idea is to achieve a balance of the following flavours: sweet, spicy, salty, and sour. 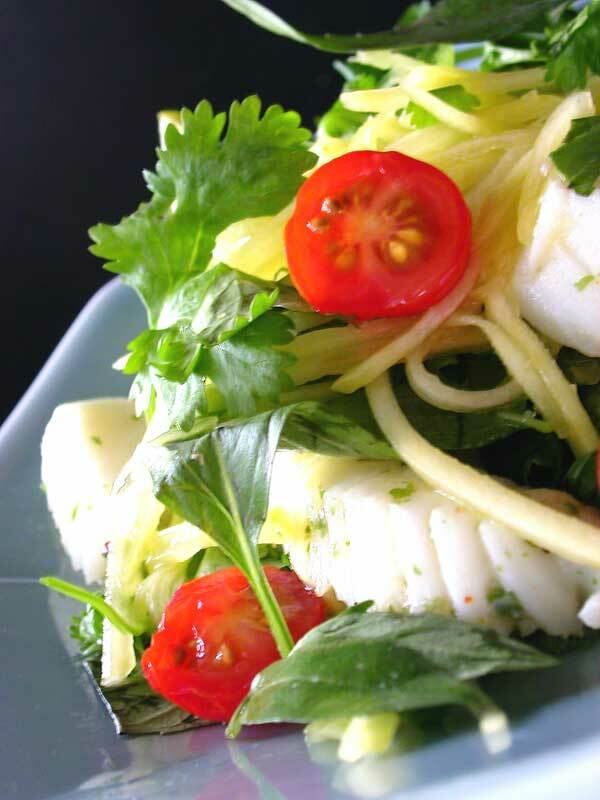 the salad above is composed of julienned green mango, cilantro, thai basil leaves, tiny cherry tomatoes, shallots, and lightly sauteed squid. i used some of the dressing to marinate the squid beforehand, but i'm not sure if it made a difference. i think next time i'll try grilling the squid over charcoal for a little smokiness. you can skip the seafood or use prawns, mussels, or even thinly slice grilled flank steak as a meatier alternative. just as the salad, you can use whatever you like in the dressing. i used freshly squeezed lime juice, fish sauce, palm sugar, finely chopped thai bird chili peppers, and finely chopped shallots. i heated up the ingredients to help dissolve the sugar and mellow out the flavours a bit, but that's entirely unnecessary. just get to a flavour to you like, pour it on the mixed salad, and enjoy. loco moco (loh-koo moh-koo), a hawaiian favourite: a generous bowl of rice, topped with a ground beef patty, fried egg, and gravy. traditionally it is made with white rice, hamburger, and a brown gravy, but my version has brown rice, ground sirloin, and a mushroom cream sauce. just 'cause. 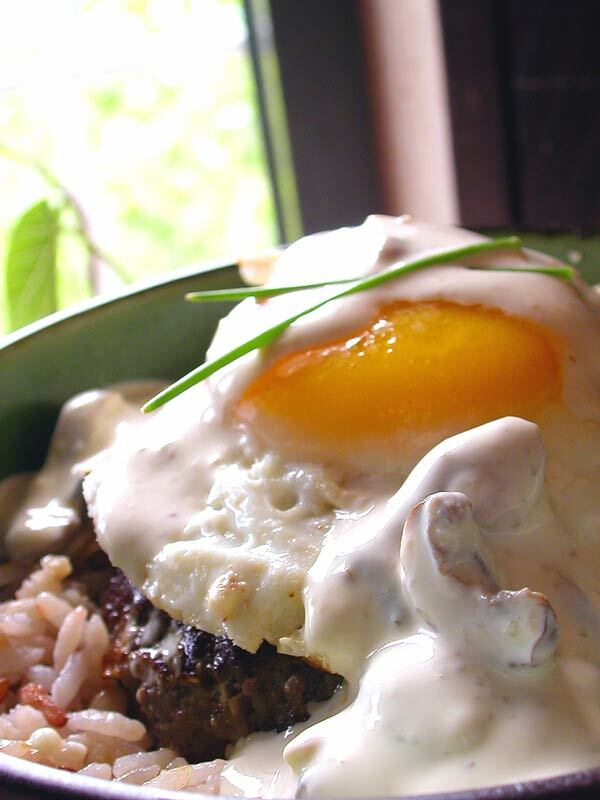 the loco moco is said to have originated in hilo, on the big island of hawaii, but it can be found all over the islands, with many various permutations. i happen to prefer the cream gravy over the brown one, grilled fish over hamburger, and brown rice over white, but that doesn't stop me from order the basic config time and again. 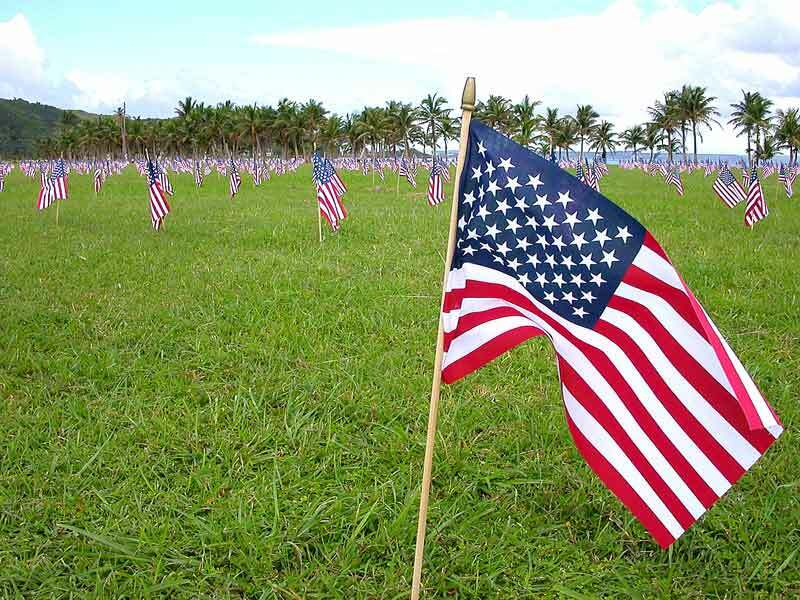 i once ordered a pork chop loco moco from sam choy's restaurant here on guam, which consisted of four scoops of rice, two grilled pork chops, two fried eggs, a heaping mound of grilled caramelized onions, and a shiitake mushroom cream gravy. after i was rolled out of the building, down the parking lot ramp, and woke up from my food coma, i tried recreating the mushroom cream sauce. i believe the sam choy's gravy is made with a pound of butter, 3 cups of half and half, some soy sauce and shiitake mushrooms thrown into the pan that the pork chops are cooked in, which is all well and good but actually, is not all well and good--i mean, @#$% &*#@!!!! a pound of butter to loosen up the pork grease and bits and then finished off with cream? oh go ahead, try it. live a little. die a lot. i now do a mushroom gravy based on cream sauce i once had at the swiss inn in honolulu. considerably lighter, but packs a ton of flavour, without adding much more work (although, ya gotta try the sam choy gravy of death™ sometime--why not). sautee mushrooms with a little butter or in the pan used to cook the meat portion of your moco until wilted. add wine, heavy cream, and sugar. simmer for a minute or two, add parsley, and season to taste. 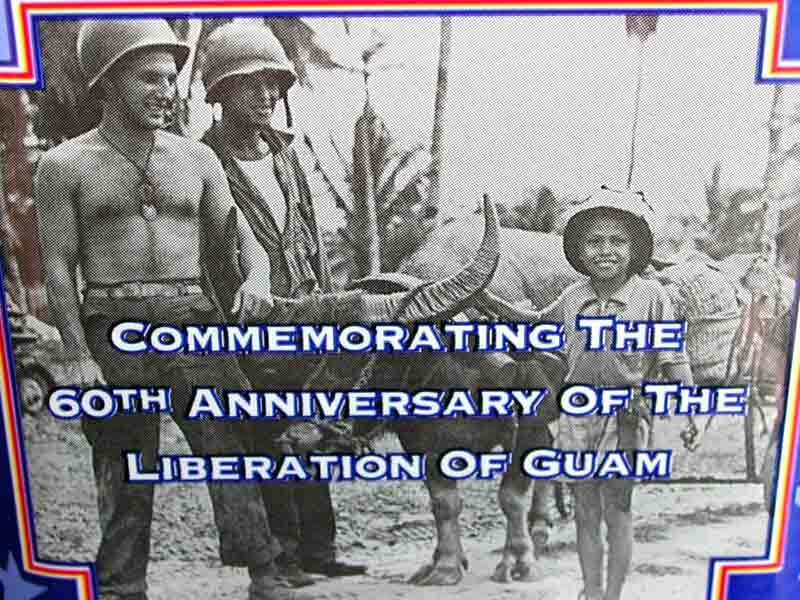 today guam celebrates liberation day: 61 years ago, american forces ended japanese occupation of the island during world war 2. the brutality was so great that even i, a non-native guamanian who has never experienced the horror of war, am grateful to all that brought some semblance of normalcy back to the island. 'course, i'm not so sure what i think of the guys who brought the SPAM. update: found these wonderful photos of chamorro refugees in saipan (a nearby island) in an american encampment after the war. yes, there was SPAM. standing on the shoulders of giants, pt. 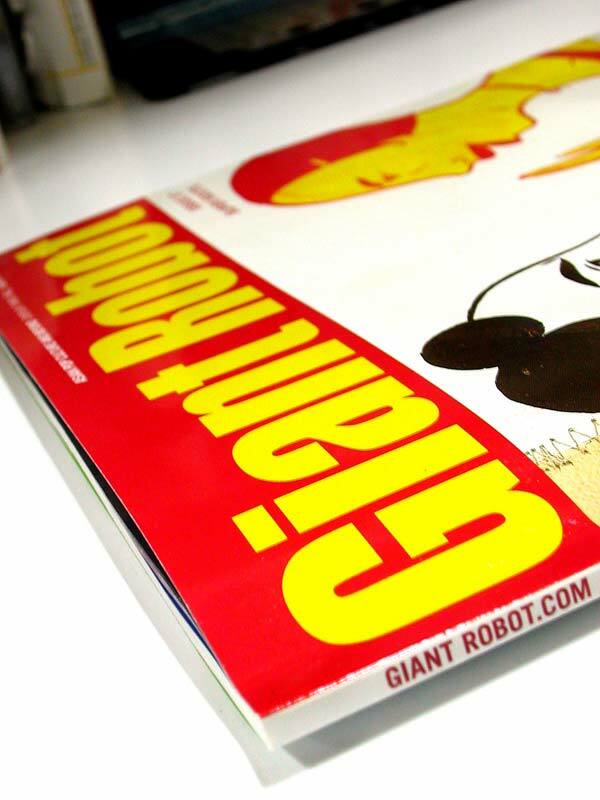 2.
giant robot: an asian-american pop culture magazine that goes above and beyond asia, america, pop, and culture. 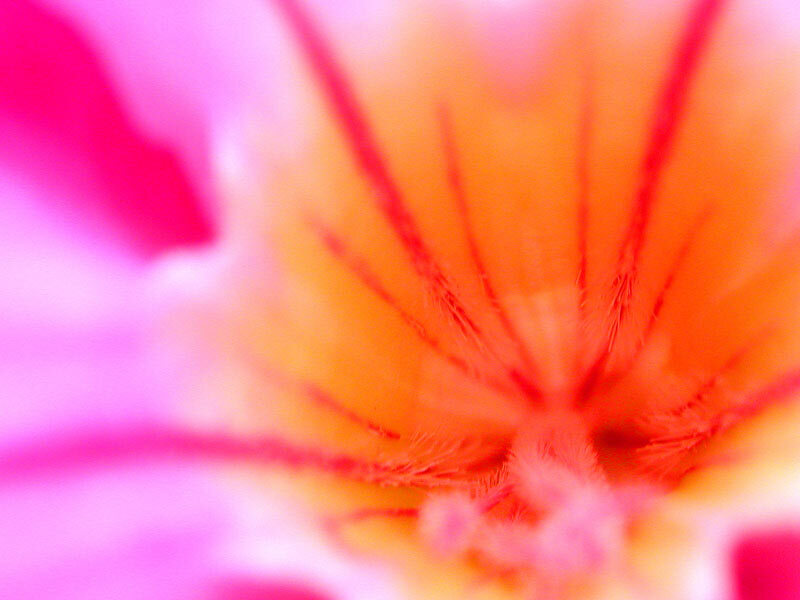 it's for the here and now. learn it, live it, love it. oh, and buy it, 'cause i'm in it. buy it because there's a lost interview with artist margaret kilgallen (everyone should know her), phenomenal photos by takashi homma, a compendium of articles about chinese jamaicans and their involvement in the evolution of jamaican music. compelling stuff. and yeah, i'm in it (along with deanna cheuk from tokion magazine, and lance from j church). standing on the shoulders of giants, pt. 1.
the past, the present, the future: a £2 coin, underground fare, hyde park in the summertime with friends of great height and the young american girl with the guarded eyes. singer sing me a given, singer sing me a song. everybody's looking on. there's time to teach, point to point, point observation, children carry reservations. london belongs to me. and you, of course. always. thanks to r4kk4 for turning me on to audioblogger. she likes robots. 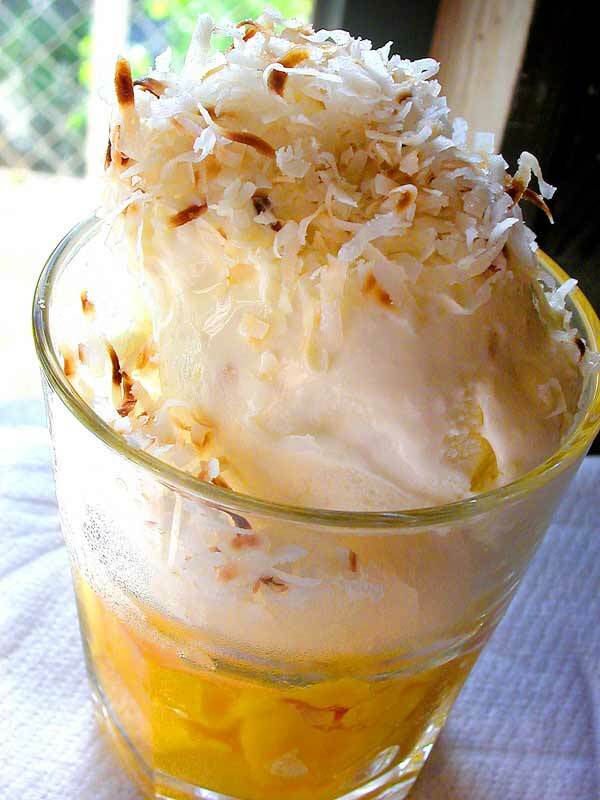 green tea granita, mango gelatin cubes, fresh mango, coconut sorbet, and toasted coconut. mmmmmmmmffffffffppph. top tip: you can "toast" coconut flakes in your microwave by placing up to a cup of the flakes in a microwaveable dish, then zapping it in 30 second intervals. after each interval, stir the coconut a bit or toss and swirl it in the container; as the internal temperature of the coconut rises, it will begin to brown. make a simple syrup by bringing the sugar and water to a boil in a saucepan over medium-high heat, and then simmering until its volume has reduced by about half. add the coconut milk, and stir until completely incorporated and heated through. chill mixture in the fridge until completely cooled. pour into an ice cream maker, and follow manufacturer's directions. or, place in a shallow container in the freezer, then run the mix through a blender or food processor every 15-20 minutes or so to break up the large ice crystals, until it reaches desired consistency. days are warmer and as humid as ever, so i've been having lighter meals, and lots of liquid refreshments. the gigis from imbb 15 have made several appearances, and are sure to make a few more. 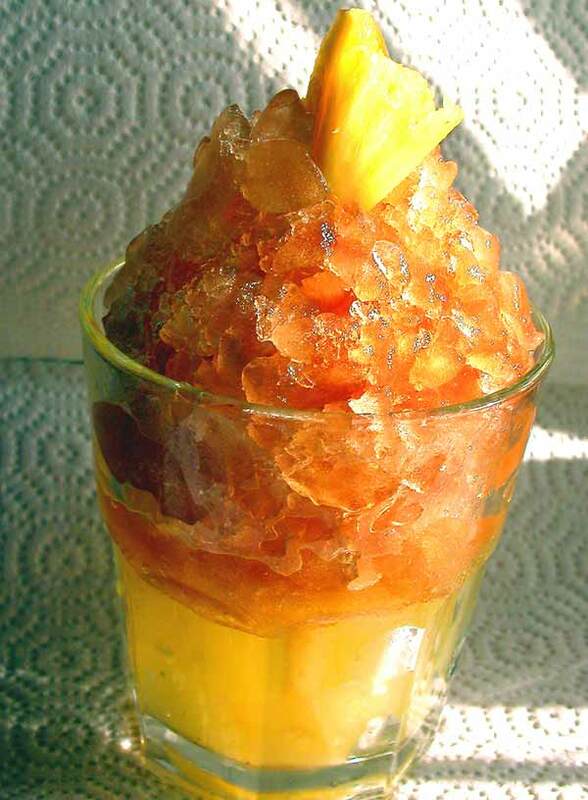 one of my absolute favourites is tea granita with fruit gelatin, and this one is made with pineapple vanilla black tea granita, pineapple juice gelatin, and fresh pineapple soaked in vanilla syrup. 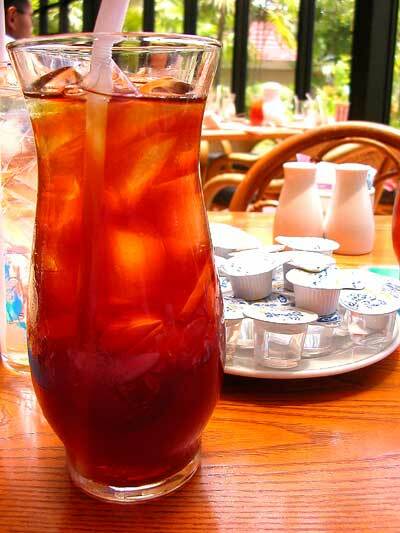 the tea is one of my all-time faves, from l'epicier, a japanese-based tea shop with branches worldwide. 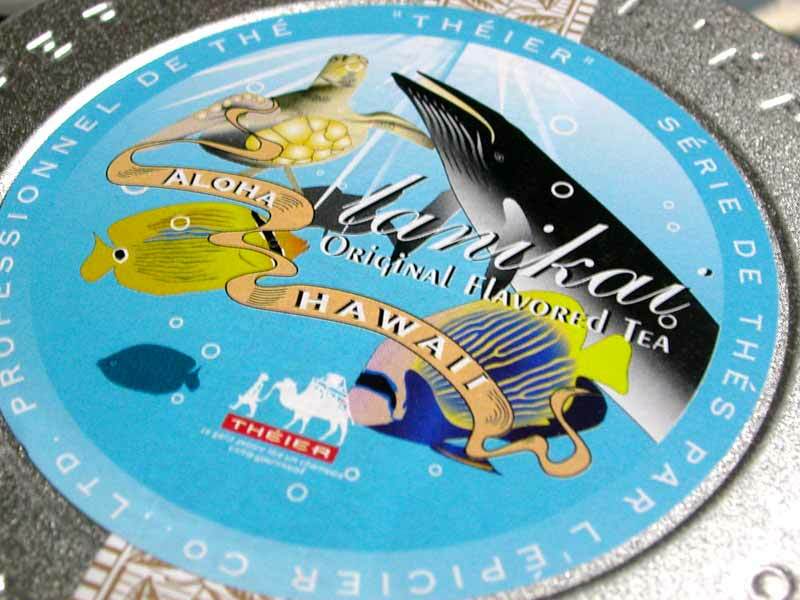 this particular tea, lanikai, is one of three exclusive hawaiian blends at their honolulu shop. The seabed which was made with the lava. The various tropical fish which changes direction simultaneously and swims. 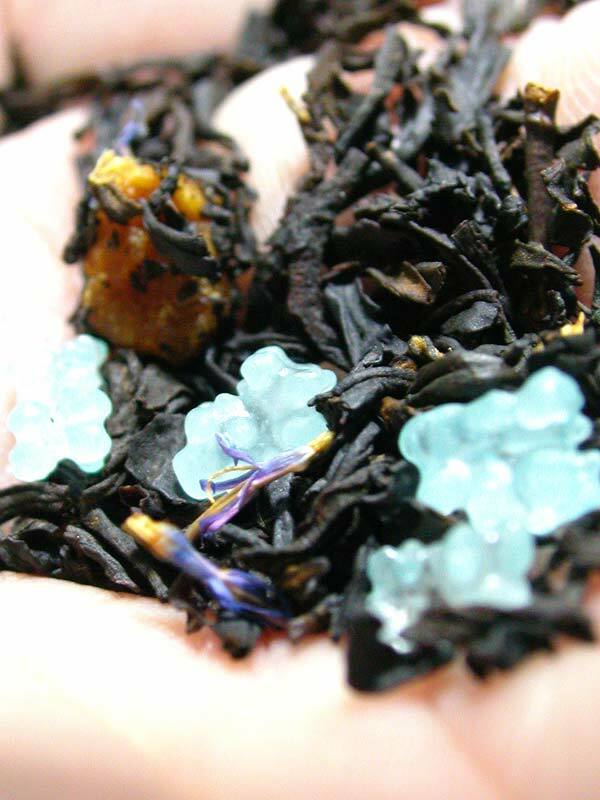 Fresh of the bergamot the fragrance heals the fatigue, leads to the seabed of the marine blue.